Introducing the newest member of their Stand Up family. 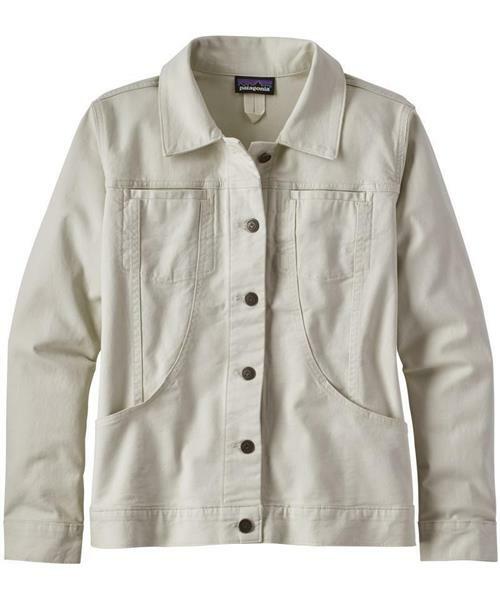 Fabricated with durable organic cotton and a bit of spandex for stretch, this utilitarian jacket features industrial-strength shank buttons down the center front, as well as on the hem for fit adjustments. Sleeve plackets allow for easy roll up and are sewn with reinforced double-needle stitching. Classic Stand Up pockets are large enough to hold pruners, pliers and tape measure. Two additional drop-in chest pockets hold screws, carpenter pencil and utility knife. Hip length.